Bord Bia said it has seen consumers across all food sectors looking more for value for money over the last year. RECENT TRENDS HAVE shown that sales of value cuts of lamb have increased significantly over the last year. Bord Bia said today consumers are “embracing the lesser known cuts of lamb” with sales of mince up 35 per cent in the past year and gigot chop sales up by 32 per cent. Meanwhile, the traditional leg of lamb is gaining popularity, seeing a 25 per cent rise in sales in the last year. Speaking to TheJournal.ie, consumer and trade marketing manager at Bord Bia, Theresa Brophy, said that “across all food sectors people are looking for value for money”. “There’s a move overall to better value cuts and over the last number of years in the lamb category there have been a wider range of cuts available,” she said. “Sales of gigot chops and lamb mince are going up particularly at this time of year, which is peak season, and I think people are recognising the value of lamb in terms of flavour, how versatile it is, and the health values”. Sales of lamb in Ireland are worth about €100 million annually and overall sales in July were up 19 per cent compared to last year. Brophy said that meat sales have remained “relatively stable” despite the horsemeat scandal with consumers becoming “more aware of the need for traceability, right back to the producer”. Email “Irish consumers favouring cheaper cuts of lamb as sales rise dramatically”. 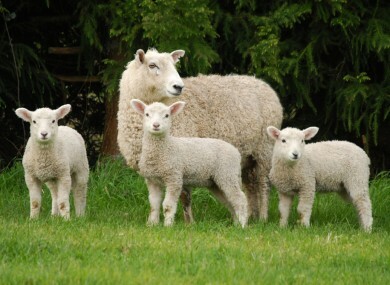 Feedback on “Irish consumers favouring cheaper cuts of lamb as sales rise dramatically”.